It’s been a couple of weeks since I’ve written. I have delayed because I wanted to bring you better news. I know what Dr. YeKen thought and why he advised starting this diary but I’m not sure it’s working. I have been deluged with thoughts of Outlander. It’s now completely out of control. I go to sleep thinking of Outlander, wake up in the middle of the night thinking about Outlander and then again in the morning! There is no relief from Outlander, Outlander, Outlander!!! I do believe my Droughtlander Delusional Disorder (DDD) is getting much worse. Sometimes, I feel l need to run like Forest Gump and just keep on running. I have, in fact, tried banging my head against the wall to dislodge the wicked ramblings in my brain which jump from one Outlander thing to another Outlander thing; however, that only resulted in a hole – not in my head but the wall. I had to quickly repair that before my husband saw it. I have another confession to make, Dear Diary. When I took my shower this morning, I was thinking about Season 4 and what we might get to see if this excruitiating Droughtlander ever ends. Just yesterday, I read the passage with Jamie & Claire on that glorious rock (Chapter 2, Drums of Autumn). Well, I became so distracted by these thoughts that I washed my face…with shampoo! So driven to distraction was I that I would never have realized my error except that my eyes immediately began to sting like bloody you-know-what. I couldn’t open them to even see what I had done. It took 10 minutes of rinsing my eyes until I was finally able to open them. Fearing that I had used the liquid Soft Scrub that I keep in my shower, I was much relieved to discover it was only the shampoo. However, I was reminded of my lapse back into DDD all day long by red, stinging and watering eyes. I did not share this incident with my husband. I told him that I was suffering from pollen. Thank God, I had a believable excuse. If I had told him the truth, he would be calling Dr. YeKen immediately. Although this experiment of writing down my struggles with DDD may not be working, it is a relief to be able to confess my failures. I was so embarrassed after the shampoo incident. Hopefully, the remembrance of my suffering will keep me out of harm’s way for a while. I can at least be hopeful. This is the first entry in my Droughtlander Diary. According to Dr. I. Fash YeKen, who first diagnosed me last year, I am suffering from a severe recurrence of what he has named Droughtlander Delusional Disorder. He suggested that it would be a good idea to start this diary so that I could write down my thoughts. I believe he thinks this would help me to see on paper how far my delusion has progressed and would be a sort of self intervention. I have no reason to think this will work but decided to give it a try anyway. Today, I was listening to Pandora where I have a station set up for Outlander’s Skye Boat Song (the Jacobite version, of course.) Being that Pandora is what Pandora is, the station does not play entirely ALL Outlander music so I was feeling quite good about that. In fact, I can listen to a couple of tunes that are not from Outlander before the teeth gnashing, head banging and stomping begins. Anyway, as I was listening, the opening music from Sassenach (you know it…Outlander Season 1, Episode 1) began to play. As hard as I tried to refrain, I must admit to you, Dear Diary, that I could not help myself. At just the right moment, perfectly in time with the swell in the music, I started to recite Claire’s words. “People disappear all the time. 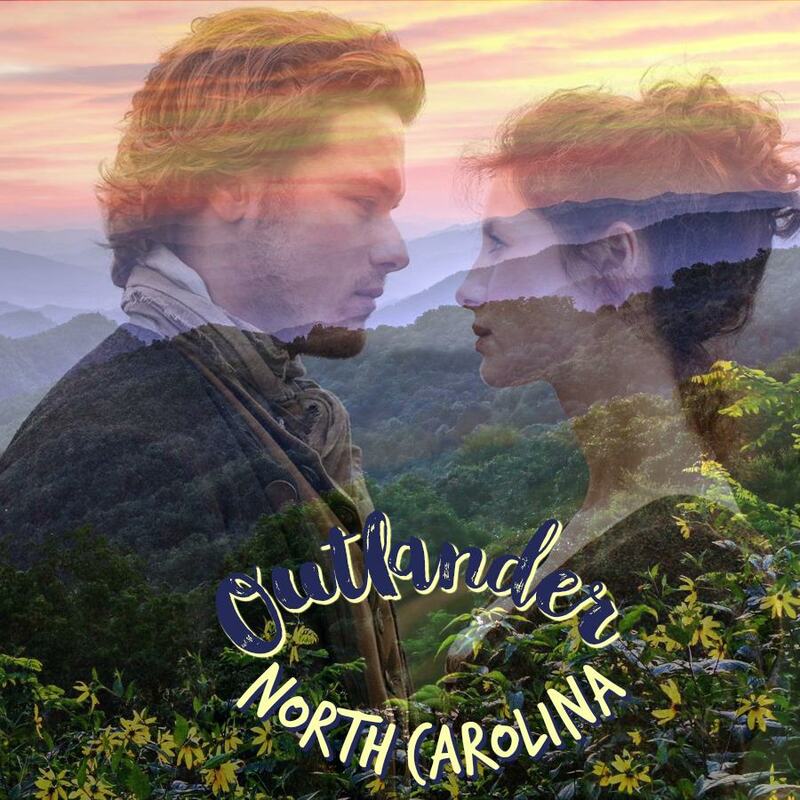 Not only did I recite it along with the music, I used a British accent (if that is at all possible for a North Carolina girl) and used the exact same emphasis and expression as Claire. After I had completed the recitation, I felt so ashamed. I had given in once again to this wicked obsession, addiction, delusion – whatever you want to call this vile thing! It does appear to be growing worse as the days go by. But I willna fash. Confessions, Dr. YeKen has told me, are good for the soul. So, Dear Diary, this is my confession to you for today. I will visit him again next week for another session after which I will report back to you concerning his condition. I am hopeful he will be much improved.